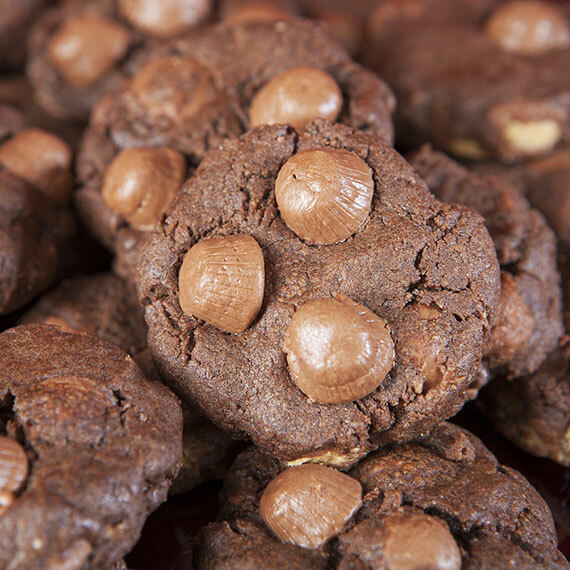 These delicious cookies are made with our super–sweet mini chocolate peanut butter cups from our bulk foods department. Nugget Market makes gift giving easy with our Holiday gift baskets. Loaded with some of our tastiest product, our gift baskets are truly perfect for your favorite foodie, neighbor, party host, coworker, business associate or family member. 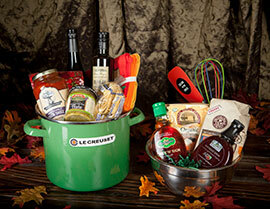 Our gift baskets come in several different styles to make gift giving a breeze. Calling all cookie monsters! Enter our cookie-decorating photo contest! Simply submit a photo of your best-decorated holiday cookie(s), get the most votes, and win a huge gingerbread house and a $100 Nugget Markets gift card! The next eight entries with the most votes will receive a gingerbread house and a $25 Nugget Markets gift card. Creating the perfect gingerbread house is simple with the help of Monaco Baking Company, because they’ve done the baking for you! 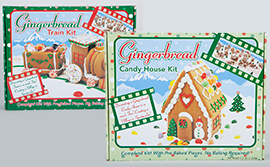 These complete kits come with pre-baked pieces and everything you need to create a spectacular house or train. Several kits are available as well as individual cookies. Selection may vary by store. Come in from the chill and enjoy our Gingerbread Latte, made with Monin gingerbread spiced syrup, hot espresso and steamy milk. 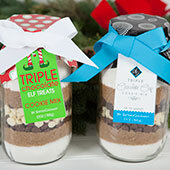 These delicious cookie mixes make for fabulous gifts! This sister duo has been making baking more convenient with their one-bowl recipes that are simple to prepare. Available in several festive varities: Million Dollar, Triple Chocolate Chip, Triple Chocolate Elf Treats, and Mrs. Claus mix. 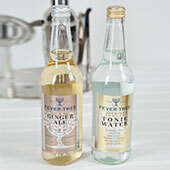 Fever Tree’s award-winning mixes are subtle and balanced with authentic flavors and champagne-style carbonation. They are made to highlight your spirits, not disguise them. Available in several flavors–ginger ale, ginger beer, light tonic and tonic–they’re a must for your next cocktail party! Yule Log: Made with chocolate cake and chocolate filling and decorated by hand, this makes the perfect centerpiece for any holiday gathering. Serves 10 to 12. Peppermint Torte Cake: This pretty cake is made with your choice of white or chocolate cake, filled with white chocolate peppermint mousse, iced with real whipped cream and drizzled with ganache. For the finishing touch? A sprinkle of peppermint candy. Serves 8 to 10. Santa Cupcake Cake: This cute cake is made out of 14 cupcakes arranged in the shape of Santa’s face! Available with white or chocolate cupcakes. Gluten-free Cranberry, Orange & Egg Nog Cheesecake: This petite cheesecake truly embraces the flavors of the season. Available in a 3" size, located in our grab– and–go case. Serves one to two. Holiday 5" Cake: This crowd pleaser is available in your choice of white or chocolate cake and is iced with ganache or buttercream frosting. 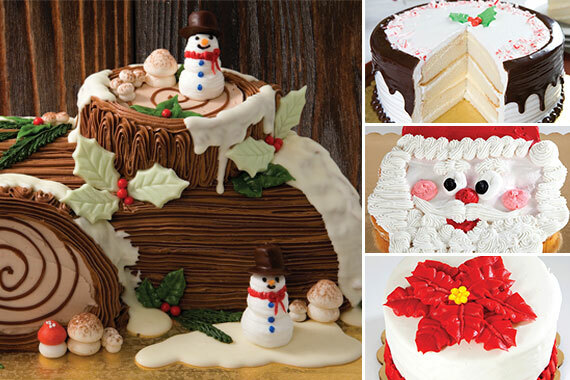 Many of our holiday bakery items are available by special order only. To ensure availability, please place your order with our bakeries at least 24 hours in advance, and we’ll have your order baked fresh and ready to pick up. Happy Holidays! 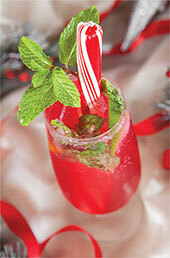 Celebrate the season with this festive cocktail recipe. 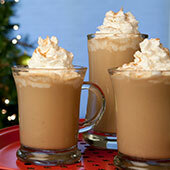 This simple yet effective recipe is a great holiday gift idea! Simply mix all ingredients together in a large mixing bowl. 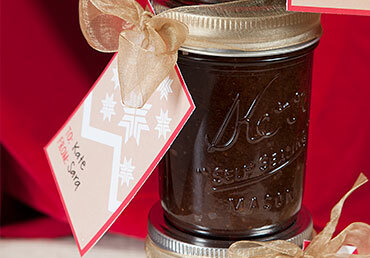 Spoon into mason jars, seal and decorate—we used ribbon and a gift tag cut out from a Nugget Markets’ holiday grocery bag! Paint all nails with two thick coats of Zoya’s Snowwhite (white). Allow polish to dry completely. Using the tip of a toothpick or a freshly sharpened pencil, paint slightly curved stripes of Zoya’s Carmen (red) from the center of the nail to the edge all the way around the nail (5 - 7 stripes) on all nails, except your ring finger. Using a toothpick, paint a small orange (Zoya’s Heidi) triangle for the snowman’s carrot nose in the center of your ring finger. Using a toothpick and Zoya’s Envy (dark green) apply two drops for eyes and several drops below the nose for the mouth. Every apple at one low price, Angus Beef Flank Steaks, Crystal Geyser Spring Water, Bob’s Red Mill Flour, Clover Natural Ice Cream, Coleman Smoked Bacon or Beef Hot Dogs, and more on special this week from December 5-11, 2012. 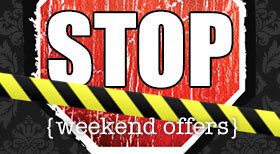 Prices valid December 5-11, 2012.